You’ve likely experienced gastrointestinal issues yourself at some point and understand just how uncomfortable those tummy problems can be. Getting relief is typically your main priority, so just imagine how your pet feels when they are suffering from digestive issues. GI problems in pets are a common reason people bring their pets in to see our Portland veterinarian, so here’s some more information about the causes and solutions of these stomach ailments. Pets with GI issues often exhibit symptoms such as vomiting, constipation, diarrhea, strongly odored gas, abdominal bloating and a reduced appetite. Typically, these acute symptoms with dissipate within a few days, but any symptoms lasting longer than three days can indicate a more serious problem that your Portland vet should look into. We’ll want to address their symptoms and discover what the root cause is in case it’s a chronic or more serious condition that requires long-term treatment. Some of the most typical cases of pets suffering from digestive issues are caused by an acute or chronic condition. Here are a few of the root causes of those stomach problems in pets. Dietary Indiscretion—Pets have a tendency to dig in the garbage looking for ‘snacks’ while others may eat their own or other animal’s feces. Parasitic Worms—These can be contracted by contact with another animal’s feces during walks or by eating infected poop. Inflammatory Bowel Disease—IBS isn’t curable, but it’s treatable. It’s unknown why pets or humans develop this condition. Pancreatitis—This condition can be painful and irritating for pets and humans and it occurs when the organ simply has trouble processing certain medications or foods properly. Parvovirus/Coronavirus—These highly contagious issues must be treated right away, as they can result in the demise of your pet. Treatment is extensive and often costly, so the sooner you see a Portland vet, the better chances your animal has a full recovery. Bacterial Infections—Salmonella, Clostridia, E. coli, and Campylobacter occurrences in pets are rare, but are very serious and require medical help immediately. 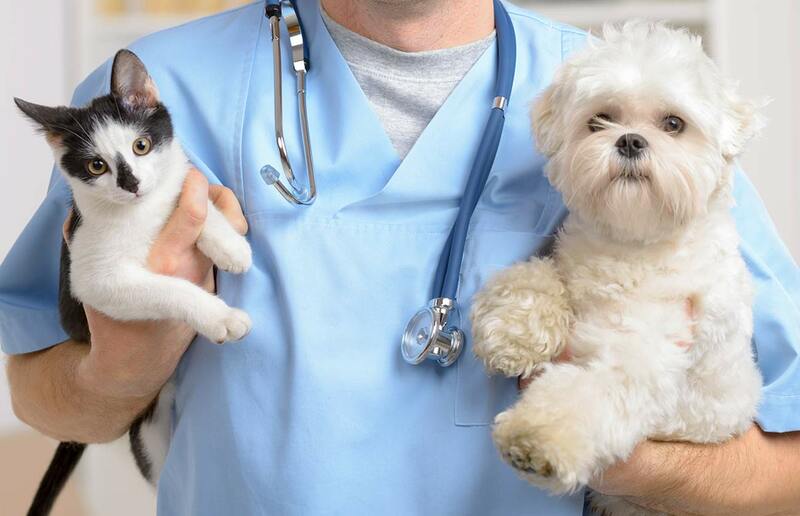 Here at the Peninsula Pet Dog & Cat Clinic, we have the experience and knowledge to help you get your pet back on their best digestive behavior with a variety of solutions and treatment options. When the symptoms of digestive issues arise, it’s wise to make sure that your pet has plenty of clean water, and you may even opt to use purified or distilled water to ease their discomfort. There are also several types of foods formulated for pets with digestive problems that you can buy at most pet stores, or you can call us for a prescription food that can alleviate many gastrointestinal issues. If symptoms persist, we’ll look for the root cause of their illness and may recommend treatment with steroids or prescription medications for acute problems. However, if your pet has a serious or chronic condition, we’ll work up a customized treatment program for them. If your pet seems to be in digestive disarray, give contact us at the Peninsula Dog & Cat Clinic in Portland. You can swing by our veterinarian office at 5313 N. Interstate Avenue in Portland, OR, or you can simply call us at 503-285-7661 to make an appointment to see our vet.